HENDERSON, North Carolina (WTVD) -- Henderson Police said Monday evening that a Food Lion worker shot in an apparent domestic violence incident has died of her injuries. Shaekeya Danielle Gay, 23, died Monday at Duke Medical Center, two days after she was shot as she went on break at the grocery store. 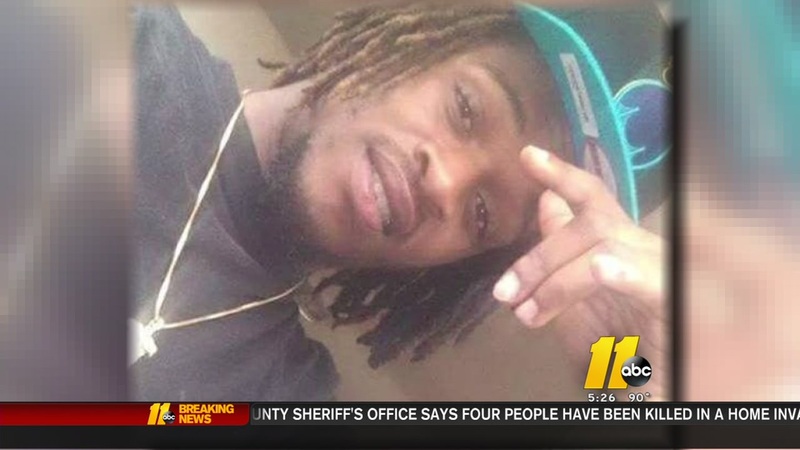 On Monday afternoon 23-year-old Marcus Tyrell Hargrove, who was wanted in connection with the shooting, turned himself in. His charges have been upgraded first-degree murder. Police said Hargrove turned himself in about 12:20 p.m. He is being held without bail. The deadly shooting happened around 6 p.m. on Saturday at the grocery chain's location at 1263 Dabney Drive in Henderson. City officials told ABC11 a "young lady" who had just gone on break was sitting on a bench near the store's entrance when "her boyfriend approached and shot her." Gay was shot in the head. She was taken to Maria Parham Health and later life-flighted to Duke Medical Center. Though Hargrove is in custody, the Henderson Police Department is asking that anyone with additional information or who may have been at or near the Food Lion to please contact Detective Simmons at (252) 430-4234. Callers may also call Crime Stoppers at (252) 492-1925 or by using the P3 app on a smartphone or tablet device. Callers may remain anonymous.